The following guest editorial was written by Keith Ambachtsheer, director of the Rotman International Centre for Pension Management, Rotman School of Management, at the University of Toronto. It was published in the July/August 2014 issue of the Financial Analysts Journal. Pension envy and pension bashing is counterproductive. Pension plans can work. They were not built to accommodate so many graying and long-living boomers. And unsteady markets can no longer make up for these structural failures. But none of these weaknesses need to be fatal if we repair them now. The sustainability of traditional public sector defined benefit (DB) plans has become front-page news and the subject of acrimonious debates usually framed in stark terms of DB versus DC (defined contribution). This either/or framing is unhelpful: It simply perpetuates the strongly held views of the defenders and critics of these two opposing pension models. Moving the pension reform yardsticks in the right direction requires that we stop this dysfunctional either/or framing and move on to a more constructive conversation about what we want our pension arrangements to achieve and what that tells us about how to design them. To conduct this kind of conversation, I offered possible answers to these questions in workshops and conferences around the world in 2013 and then invited participants to discuss the proposed answers without uttering either “DB” or “DC” during the entire conversation. In this piece, I set out what I believe to be the key ideas and words of such a changed conversation about pension reform and report on how the actual conversations are turning out. All good pension systems have three common features. All pension systems have embedded risks that must be understood and managed. Some of these risks have an intergenerational dimension. Pension plan sustainability requires intergenerational fairness. Achieving this fairness has plan design implications. cost-effectiveness — retirement savings are transformed into pension payments by “value for money” pension organizations. Surely, no rational person would disagree with these three features. So far, so good. Set a pension target: A typical target might be 70% of inflation-indexed average pay. Cost that pension target: This step requires projections of working-life length, postwork longevity, the amount of state pension payments (e.g., Canadian Old Age Security and US Social Security), and the investment return on pension contributions. Identify associated risks and their possible mitigation: The major uncertainties concern longevity (i.e., “how long will I live?”) and the net real return on pension contributions (i.e., after expenses and adjusted for inflation). Step 3 is arguably the most challenging step. 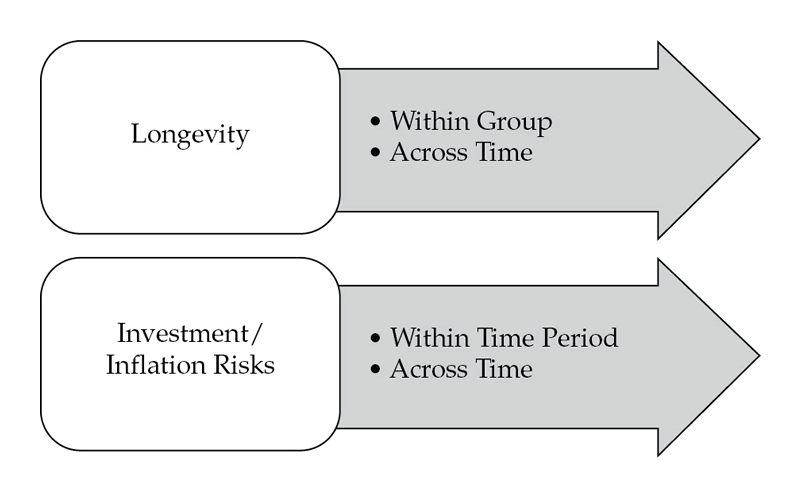 Figure 1 makes the important point that both longevity and real return risks have not only a within-group/within-time dimension but also across-time dimensions. The within-group/within-time risks are easily pooled and diversified; the across-time risks are not. This logic is confirmed by the facts. 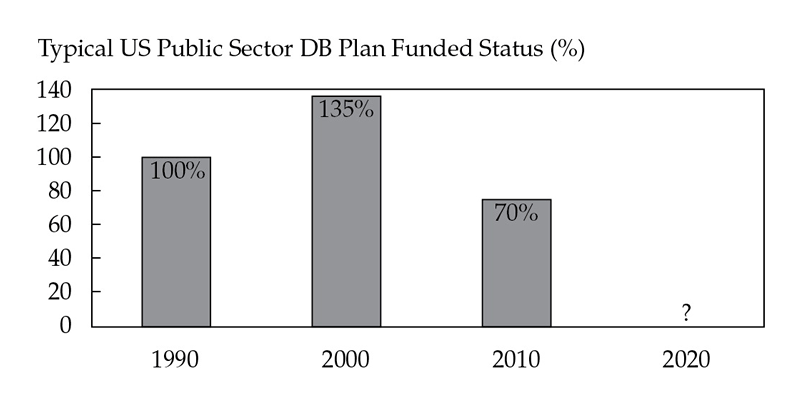 Figure 2 displays the time path of the funded ratio of a typical US public sector DB plan over the last 20 years or so. Remember how we talked ourselves into a “new era” paradigm as the last decade of the 20th century unfolded? As it ended, most DB plan funded ratios were well over 100%. Did we treat these balance sheet surpluses as “rainy day” funds to see the plans through the coming lean years? We did not. Predictably, we spent the surpluses on benefit increases and contribution holidays. After all, was this not a new era of outsized economic growth rates and stock market returns? Was taking on more risk not synonymous with earning even higher returns? A decade later, we know that the answers to these turn-of-the-century rhetorical questions are no and no. On top of these stark economic realities, red-faced actuaries are now confessing that they have been underestimating increases in retiree longevity for quite some time. So, the search is on for the magic bullet that will transform the current 70% funded ratios back to the 100% ratios of a full generation (i.e., 20 years) ago. Mindful of the “third rail” problem so well described in the timely book by Jim Leech and Jacquie McNish, many leaders today continue to search for an easy way out. Let’s stretch the unfunded liability amortization period to 30 years. Let’s turn the risk dial up even higher and hope for the best. Note that all these “solutions” effectively pass the problem on to the next generation once again. Given the current poor financial condition of many public sector DB plans, it should come as no surprise that people on the far right of the political spectrum want to do away with this type of pension arrangement altogether. Doing so would be a tragedy. I agree with Leech and McNish that none of these weaknesses need be fatal if we repair them now. A target income-replacement rate — how much postwork income is needed to maintain an adequate standard of living? A target contribution rate — given realistic assumptions about working-life length, longevity, and net real investment returns, how much money needs to be set aside to achieve the pension target? Course correction capabilities — the plan provides regular updates on progress toward targets and offers course correction options when needed. Fully defined property rights and no intergenerational wealth shifting — the plan design is tested for intergenerational fairness and clear property rights. Long-horizon wealth-creation capability — the pension delivery organization can acquire and nurture healthy multi-decade cash flows (e.g., streams of dividends, rents, tolls) through a well-managed long-horizon investment program. Payment-certainty purchase capability — plan members can acquire guaranteed deferred life annuities at a reasonable price. In addition, the expert pension organization that delivers the DA plan creates a plan participant “default option” whereby plan contributions are automatically directed to the individually owned long-horizon wealth-creation program until participants reach middle age (say, 45), at which point they begin the purchase of deferred annuities over the last half of their working lives. The pension delivery organization also has effective financial-planning and communication protocols and infrastructure to guide participants through this financial life-cycle journey. There is, of course, an elephant in the room that I have not yet mentioned: getting from here to there. The three pension heroes lionized by Leech and McNish in The Third Rail: Confronting Our Pension Failures learned firsthand how difficult it is to persuade pensioners and older workers to reduce their traditional DB plan pension income claims in the name of plan solvency and intergenerational fairness. In New Brunswick (Canada) and Rhode Island (United States), it took undeniable evidence of looming bankruptcies that would lead to even larger pension cuts. In the Netherlands, it took tough legislation requiring that pension guarantees be backed by asset pools large enough to ensure that pensions promised would become pensions paid without resort to pension bailouts paid for by the next generation. Large doses of leadership will continue to be needed to repair the current weaknesses in the traditional DB and DC plans. And how did the post-talk conversations go? Miraculously, all were conducted without a single utterance of the terms DB and DC. Even better, the DA model triggered plenty of curiosity and some good questions. Could it be the beginning of a new conversation?